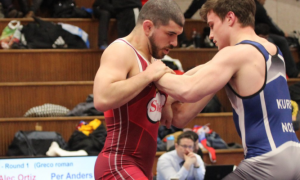 Swedish Star Alex Kessidis: "I Don't Think Just Anybody Could Live the Wrestling Life"
Alex Kessidis (80 kg, SWE, world no. 6) is a wrestler who is now too tough to ignore. Ever since joining the Senior ranks a few years ago, the 22-year-old has steadily turned himself into an elite World-class competitor who is expected to contend everywhere he goes. Just take a look at his resume. Going back to the Junior World Championships in 2015, Kessidis has competed at 17 international-level tournaments. He finished in the top-three in 11 of them. 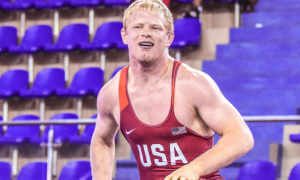 If you want to break it down further, his placings go like this: three silvers, three bronzes, and five wins, including one at the U23 European Championships this past April. Kessidis has also appeared at two consecutive Senior World Championships, finishing ninth at 2017’s edition in Paris. Quite a way to get a career up and running. He is also very familiar with his American Greco-Roman counterparts and has spilled plenty of sweat both during training and in matches with US guys. 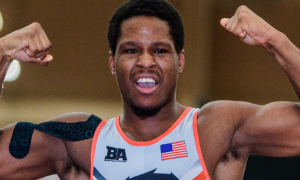 You can count 2017 World Team member Patrick Smith (71 kg, Minnesota Storm) among the former group, as the popular Smith spent a bulk of his winter preparing for April’s World Team Trials in Sweden and Kessidis was one of his partners. 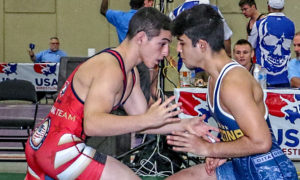 The Swedish wrestler himself took a trip to California in June for the Junior Greco World Duals, where he served as a clinician. With a large delegation of USA athletes currently in Sweden, the Scandinavian country once again comes into view. 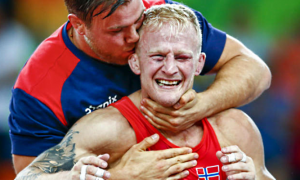 Despite having approximately only around 5,000 active wrestlers in the entire nation, Sweden somehow remains one of the most consistently successful Greco-Roman programs on the planet. Part of that is due to the fact Greco is the only style offered for males. But on the other end of that equation is the coaching, the enthusiasm, and the relationships. Sweden is very big on inclusiveness. Want to make yourself better? It doesn’t matter where you’re from, Sweden is happy to work with you. 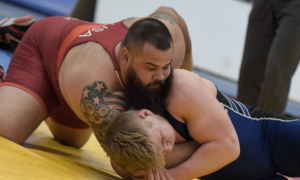 It’s why the country’s wrestlers are virtually always in the running at World-level events and also, why the US enjoys such a beneficial partnership with the program. For now, however, it’s all about Kessidis. We’re coming closer and closer to the U23 World Championships, which is scheduled to begin November 21st in Bydgoszcz, Poland. He’ll be a favorite to earn his first World medal over there. It’s likely he knows this. There is also the current Bundesliga season to be concerned with, and that wraps up soon (SVS Hallbergmoos, Kessidis’s team, clinched a spot in the playoffs). All of this makes it important to dig a little bit. How Kessidis trains, what keeps him motivated, and how he sees the sport in general are all on the table for discussion. His relationship with US athletes is part of the story, as well. Because while Greco-Roman may offer equal doses of brutality and artful execution after the whistle blows, its greatest strength perhaps resides in its ability to bring people together, which at the end of the day, is what this is all supposed to be about. 5PM: How important was winning this year at the U23 European Championships, especially after coming in second last year? Alex Kessidis: It was very important for me to avenge my loss from the year before against the same guy I lost to (Gela Bolkvadze). All I could think about was, I have to win or else I haven’t made any progress since last year. 5PM: Over the summer, you won the Pytlasinski Cup in Poland, which is always a tough tournament. One of the cool things about that event is that it serves as a warm-up for a lot of wrestlers before the World Championships or Olympics. 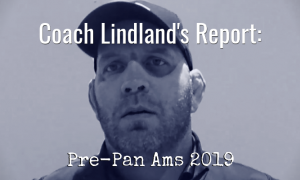 After your win there, did you feel like your training was on point prior to Paris? AK: After my win at the Pytlasinski, I felt unbeatable, I had great confidence after that tournament and I didn’t think about anything else other than becoming World Champion in Paris. 5PM: You finished 9th in Paris, first dropping a bout to eventual champ Maksim Manukyan and then in the repechage to Pascal Eisele. Immediately following the tournament, what were your emotions? Did it take a long time to get past that or were you back to training right away to get ready for Bundesliga? AK: Right after I got beat in Paris I was devastated, but I realized that I am not that far from becoming World Champion due to the fact that I lost against the guy who became World Champion and the guy that was European Champion last year. My preparations for the upcoming season in Bundesliga began after a ten-day vacation in Greece at my grandmother’s home. 5PM: The US always seems to try to play around with putting wrestling into sports leagues and it very rarely catches on the way it does in Europe. Are the meets exciting to be a part of and also, do you enjoy having a consistent slate of competition? AK: Yes! The meets are great, I think they are important and also, that they strengthen the relationships in the wrestling community. I love wrestling and I love competing, that is why I do it, the love of the thrill. 5PM: You obviously know several US wrestlers and have trained with them. What do they tell you about the way Greco is perceived here? Alex Kessidis: Yes I do! We had Pat Smith working with us for a couple of months when he studied here and Tracy (G’Angelo) Hancock lived at my brother’s place for a week when they were preparing together for the Worlds in Paris. They have not told me a lot about it (Greco in the US). 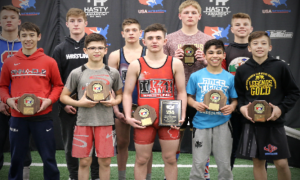 Personally, I think Greco does not get the attention it should in the US, but I also think the interest for the style is growing. 5PM: What do you notice about the differences between US Greco wrestlers and wrestlers from Sweden and other areas of Scandinavia/Europe? AK: That we train a lot more par terre (laughs). 5PM: You’re still very young, but your career started quickly on the Senior level and this year you took big steps forward. What was the tournament or match that you’ll remember most about the past year? AK: It was when I beat Rio 2016 silver medalist Mark Madsen in the Nordic Championships in june. 5PM: What is a typical training session like for you? AK: It depends a lot on which training period we are in. We almost always play football (soccer) as warm up. We also do a lot of live sparring like in a real match. 5PM: How do you feel about the new weight classes and the way weigh-ins are going to be run with the two-day format come 2018? AK: I like the new categories (weight classes), but I think all categories should be Olympic categories because there are a lot of great wrestlers who do not get to experience the Olympics due to the shortage of wrestlers in each category. The new weigh-in system is alright, everybody still shares the same conditions as before, so it doesn’t really matter. 5PM: The U23 World Championships take place next month in Poland. This would seem to be an event that you’re looking forward to. How has the preparation been leading up so far? AK: I am ready to take home another gold medal for my country, team and family. It has been a tough season in Bundesliga, and the training conditions have not been perfect, but I am as ready as ever! 5PM: Your goals are to be a World and Olympic Champion. How do you stay motivated to go after these goals and what has it been like to establish yourself as an elite competitor? Alex Kessidis: I think the toughest thing you could ever do in life is to become World and Olympic Champion in wrestling. I have been preparing for this since I was five-years-old and I probably have it in my genes since my brother, father and grandfather wrestle/wrestled. It has been a tough path and I don’t think just anybody could live the wrestling life, but I have and I am positive that I will prevail. Follow Alex Kessidis on Instagram to keep up with his career and competitive schedule.